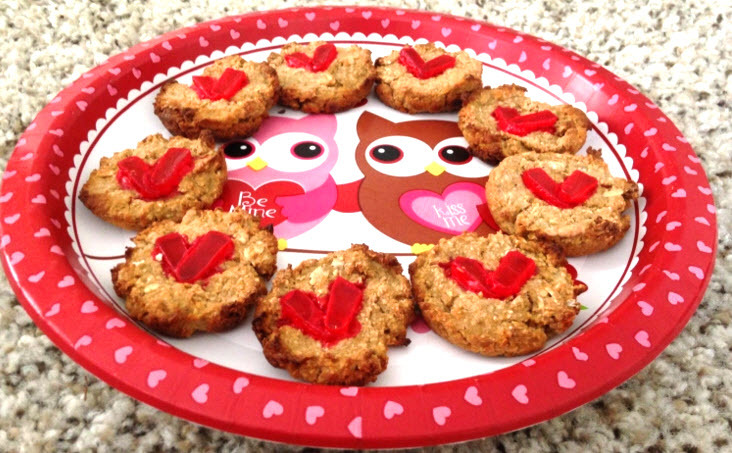 Bake a treat for your horse that has cinnamon candy in the shape of hearts on top! Cut Hot Tamales candies down the middle. Put the apple and oats in a blender and mix them them into a dough. Spoon portions of the dough into a greased muffin tin. Bake the treats halfway, then put the candy halves on top in a heart-shape and finish baking the treats.